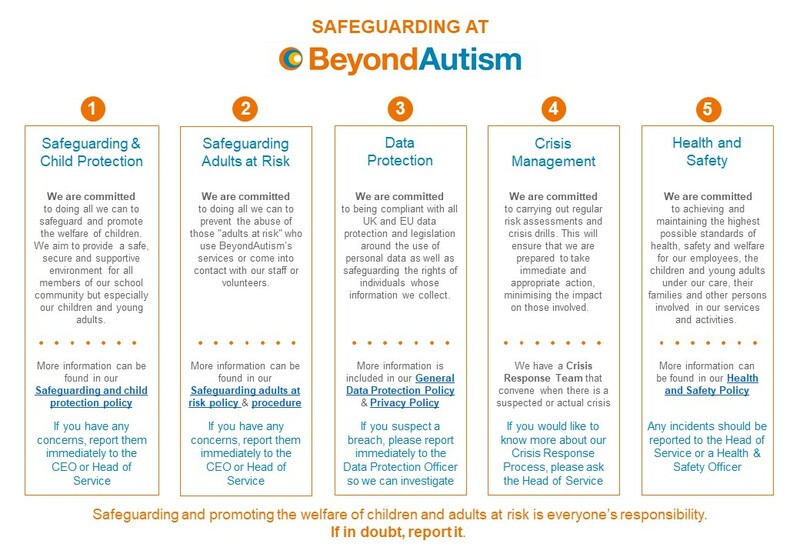 BeyondAutism is committed to safeguarding and promoting the welfare of the children and young adults that access our services. Our staff and volunteers all have an important role to play in providing a safe, secure and supportive environment for all members of our community, and especially for our students. BeyondAutism is committed to ensuring that it offers equality of opportunity in its governance, service provision and employment practices.